Every year, the two high schools with my hometown set up a basketball doubleheader where the girls' and boys' squads play against each other. Fortunately, the tensions don't get ratcheted up too high, and these nights are usually a lot of fun. 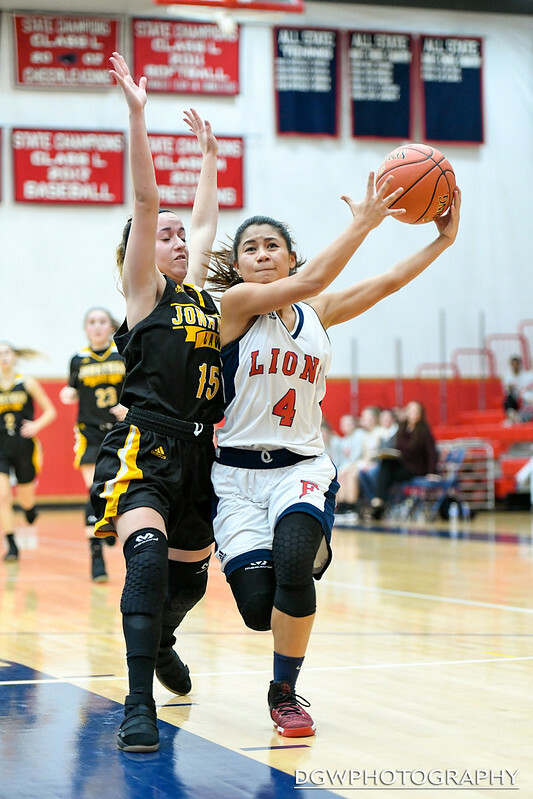 In the first game Thursday night, Jonathan Law’s Pam Ellison tries to keep Foran’s Samantha Inthapanhya from driving to the hoop during the Lions’ 60-55 OT win. You can read the full story from this exciting game in The Milford Mirror. 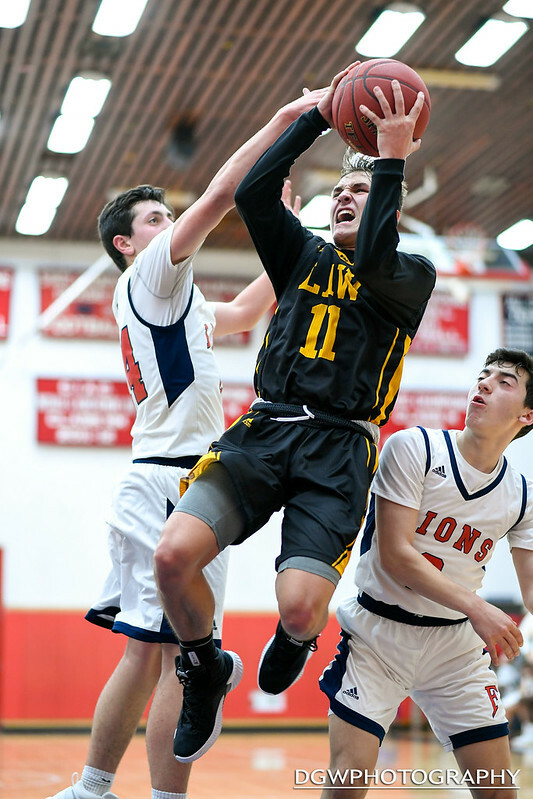 In the second game, Jonathan Law’s Jon Vitale fights his way to the basket during the Lawmen’s 62-57 victory over Foran High. You can read more about this game in the Milford Mirror.